A creamy staple of the American South, these grits are made even creamier with the addition of goat cheese. And the scallions add a great oniony bite that finishes these grits off just right. Then top the grits with these Creole Beef Tenderloin Filets for a meal to remember. Grits are a staple in the American South. This degerminated and stone-ground corn, also called hominy, is simply coarse ground bits of corn. 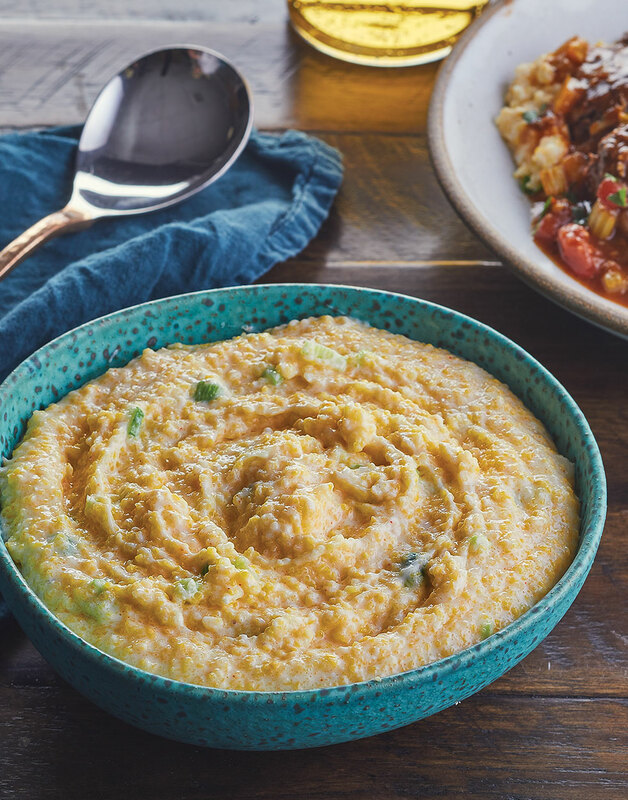 Often times grits are ground finer than their Italian cousin, polenta, though both are available in a variety of ground sizes. Heat milk, salt, and cayenne in a saucepan over medium until boiling. Gradually stir in grits, reduce heat to low, and cook, stirring, 5 minutes. Stir in goat cheese until melted, then stir in scallions.